Walker: Age 22-40. A paranoid man, since being struck with lighting at age 3. Tries to flee from Frank. Note: This actor will also play Reggie, an apartment dweller. Male-identifying actor. Willy: Versatile acting age. A woman with conceptual problems. Note: This actor will also play Libby, Astrid, and Millie. Female-identifying actor. Alice: Versatile Acting Age. Willy’s blind companion. Note: This actor will also play June, Mag, and Mona. Female-identifying actor. Finn: Versatile Acting Age. Editor of The Free Advertiser Weekly and Frank’s Boss. Note: The role of Frank has already been cast. Mail@dontlookdowntheatre.ca to arrange an audition, submit your resume/headshot. Please include the character you wish to audition for. If you’ve auditioned for Don’t Look Down in the past year you will still be considered, but may not be granted an audition. If you have auditioned in the last year please still submit so we know you’re interested. Audition timeslots will be sent out on March 27th. Audition Location and Address: The Commons, 587a College St. Toronto, ON. Additional Information: The Ends of the Earth is a 1992 play by Canadian playwright Morris Panych. It tells the story of two men, Frank and Walker, each of whom is convinced that the other is following him. Despite their best efforts at running away from each other, the two men repeatedly find themselves in the same places. Winner of the Governor General’s Award for Drama in 1994. 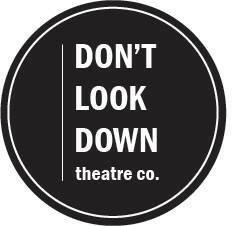 Don’t Look Down Theatre Company encourages submissions from professional and emerging applicants of all backgrounds, identities, and abilities. When making casting decisions, the creative team considers many different criteria. We envision a cast that reflects the rich diversity of our performing arts community and of the city of Toronto.